During E3 2018, most of the major publishers were boasting of big surprises. 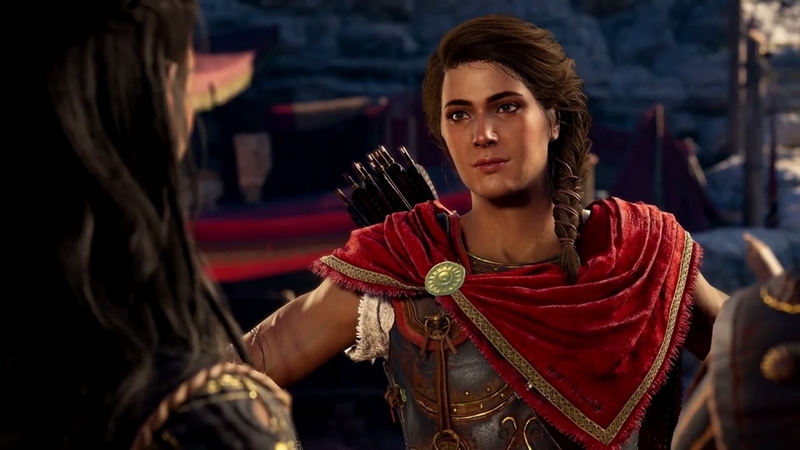 For Ubisoft, Assassin’s Creed Odyssey constitutes one such surprise. Sure, Assassin’s Creed is a known factor, especially given its typical annual release cycle. However, this release marks a change for the long-running franchise. Player-choice, romance, and deep RPG mechanics are the soul of this forthcoming entry in the series. All of the above has received plenty of buzz. Odyssey’s gameplay has yet to garner comparable attention, though. In the 16 minutes of gameplay that features above, stealth, ground combat, and naval combat all earn a shot in the spotlight. Truthfully, not much seems to have changed between this iteration and Origins with regards to gameplay. The visceral combat that sees Bayek win back the soul of Egypt is certainly on display here. However, there are noticeably more enemies on-screen than ever before. During E3 2012, AC 3 promised upwards of 100 enemies on-screen at once to give players an authentic feeling of warfare in the American Revolution. That didn’t quite come together as planned. But, considering the advances in technology, it definitely feels more plausible this time around. Ship combat earns a decent amount of screentime in the video, as well. 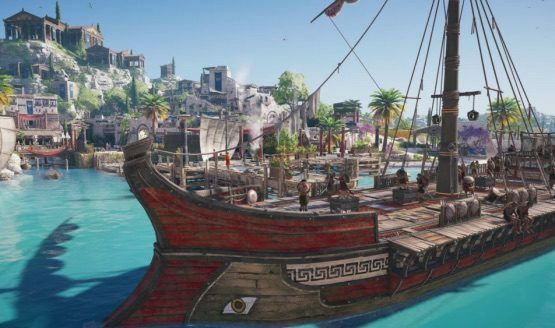 Due to the Ancient Greek setting, it isn’t half as complex as players will remember from Black Flag. Weaponry is limited to volley fire with arrows and ship ramming. Naval warfare in this entry also seems slower paced, which could either work for or against the game depending on how often such gameplay is relied upon. The little stealth on display is also reminiscent of AC Origins. Yet, kicking takes precedent here. Sending enemies screaming off of ledges will undoubtedly be one of the game’s defining gameplay mechanics. Synchronization for the map deserves mention, too. The usual eagle icon appears and we see Alexios take a Leap of Faith off of a tall landmark. Given the franchise’s lore, this seems odd. As is conveyed in Origins, the basics of the Assassins Order do not come together until Bayek and Aya set them in motion. This they accomplish in 47 BC; Odyssey is set nearly four centuries earlier in 431 BC. Perhaps the Leap of Faith receives narrative exploration in Odyssey that will then make the events of Origins clearer. We’ll find out when the newest iteration launches this fall on October 5.